On Computers » RABBIT EARS, ANYONE? Last year, 1.5 million Americans used antennas to get free over-the-air TV programs, according to Nielsen Research. We decided to try it ourselves. We tested a TiVo box for recording shows with an antenna from Antennas Direct. This is like a pumped-up set of rabbit ears. The picture quality was fine, but we didn’t get the 60 channels touted in their promotion; we got twelve. The TiVo also brought in movie and music services such as Hulu Plus, Netflix, Amazon Instant Video, Pandora, and Rhapsody. Bottom line: it was nice, but not enough to get us to drop our cable TV subscription. But as Netflix adds original shows and TV programs to its line-up, and YouTube videos get better, we can see how some people might easily drop their cable subscription. 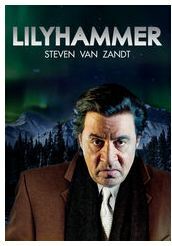 We loved the original series “Lilyhammer,” about a New Yorkmobster who enters the witness protection program and chooses to live in a small Norwegian city. It’s hilarious.